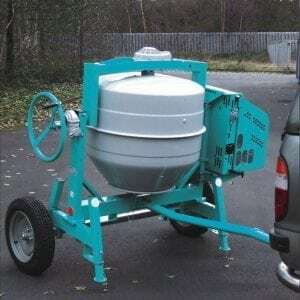 The Syntesi R is a road towable mixer with pneumatic wheels. This mixer has a single-phase 230V electric motor, which is positioned in a sheltered compartment, protected from dust and atmospheric agents. The motor is also available petrol or a diesel. The tow-bar allows for road transportation at speeds of up to 90kh/h (consult your country’s legislations). The transmission system with high resistance belt and steel gears in oil bath are maintenance-free.